Flow analysis techniques (flow injection, sequential injection, bead injection analysis, and lab-on-valve analysis) are powerful flow-through analytical tools for automatic sample manipulation and analyte detection. They allow rapid analysis and are economical with respect to sample and reagent consumption. 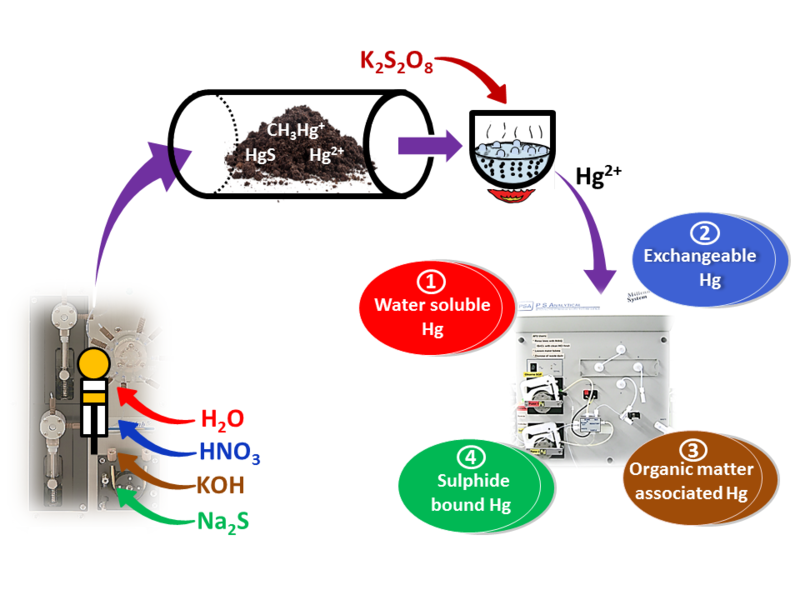 Research currently conducted by us in this area is focused on the development of fast and highly sensitive flow methods, implemented in bench-top and portable analyzers, for the direct determination of environmental pollutants such as heavy metals (As, Sb, Hg, Zn, V), toxic anions (cyanide, thiocyanate) and nutrients (ammonia, orthophosphate, nitrite, nitrate) in natural waters and industrial and domestic wastewaters. Flow methods are also being developed for the automatic determination of the bioaccessibility of heavy metals (e.g. Hg and As) in solid samples (e.g. soil, sediment) using dynamic fractionation approaches with subsequent on-line speciation analyis. 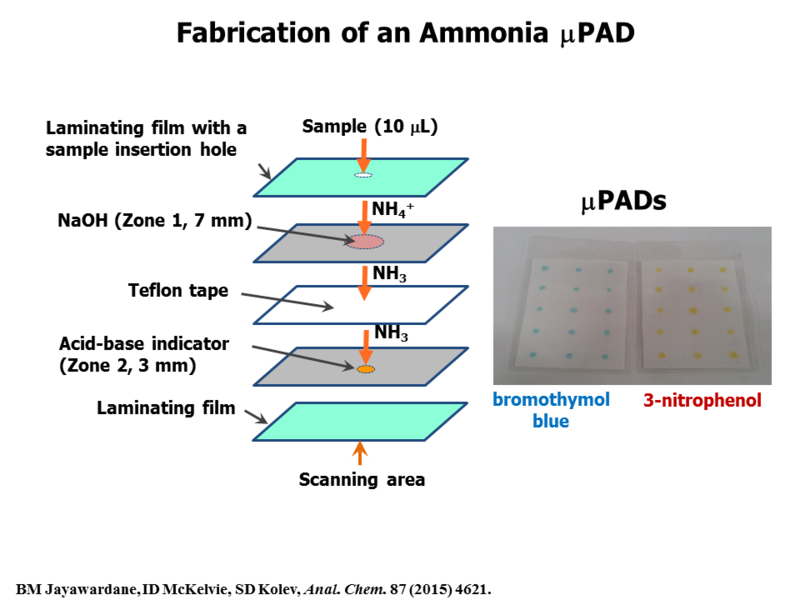 Microfluidic paper-based analytical devices (μPADs) are a new type of inexpensive disposable sensor systems which are suitable for on-site industrial, environmental and clinical analysis. The hydrophilic channels and detection and reagents zones of these devices are printed on filter paper using conventional printing devices. The detection is usually based on colour reactions taking place in the detection zones of the μPADs. Our current research in this area is focused on the development of μPADs for environmental (i.e. determination of nutrients and heavy metals) and clinical (e.g. determination of acetaldehyde in saliva) applications. Solvent extraction has been widely used in separation and concentration of chemical species in various areas such as hydrometallurgy, recycling of industrial metal resources, wastewater treatment, and chemical analysis. Large inventory of often expensive extractants and toxic, volatile and flammable solvents are usually used in industrial applications of this technique which is of considerable environmental and health concern. 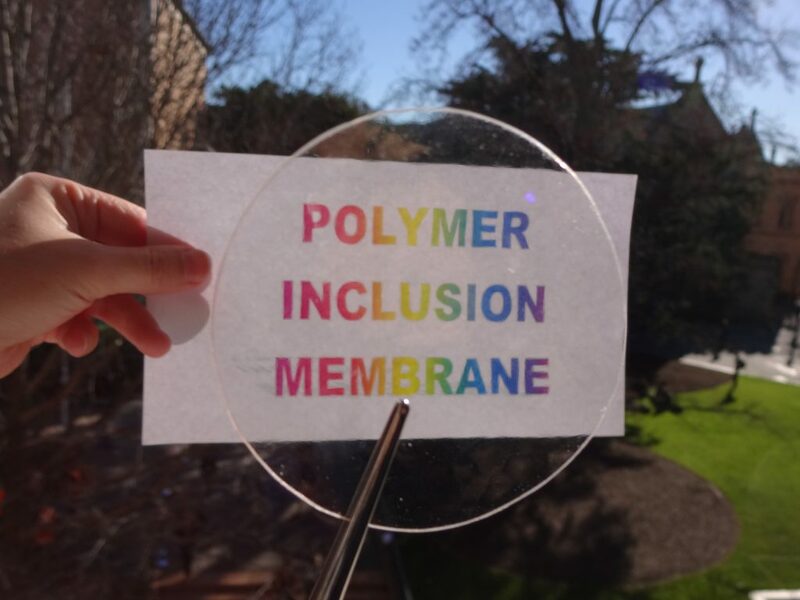 An alternative environmentally friendly and inexpensive approach for the separation and concentration of chemical species can be based on the use of liquid membranes. Research currently conducted in this area is centered on the theory and application of membrane extraction involving polymer inclusion membranes (PIMs). Our research has shown promising results in the application of PIMs in the following areas: recovery of metals ions such as Au(III), Cd(II), Cu(II), Pd(II), Zn(II), Hg(II), Co(II), and Ni(II) from their acidic aqueous solutions; clean-up of industrial wastewaters from both metallic and non-metallic; on-line extractive separation and pre-concentration of analytes in flow analysis techniques; and passive sampling of water pollutants. Metal hyperaccumulating plants have the ability to not only survive in soils rich in heavy metals but they can also accumulate these heavy metals in their above ground tissues. These unique properties of metal hyperaccumulating plants make them potentially very useful in soil phytoremediation and biomining. The mechanism of metal hyperaccumulation is not completely understood. 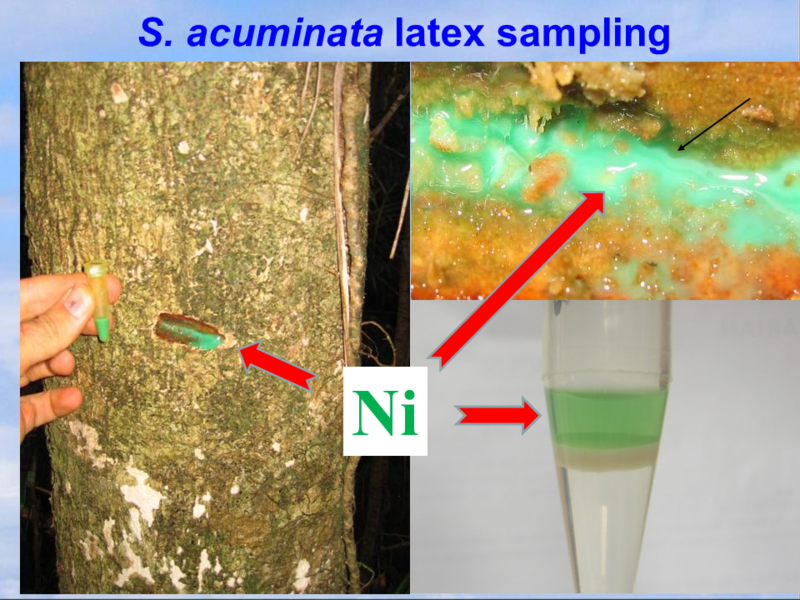 Research currently conducted in this area is focused on studying the mechanism of cobalt, nickel, mercury, and gold hyperaccumulation in various plant species.